Currently Apple iPad holds 70% of the tablet market. And Apple iPad 2 is most awaiting gadget from Apple. Before the confirmation from Apple, many of those Mac media firmly believe that second generation Apple iPad, or iPad 2 will delay to release until April, 2011. The face is that Apple unveiled the release date of the iPad 2 and it should be March 2, 2011. Then what iPad 2 virtually bring to Mac fans? As rumours suggest, Apple iPad 2 is having the high end features like higher resolution screen display, a more convenient USB connectability that enable users to upload movies, documents. It also reported that the iPad 2 will be a seven-inch job and thinner model with a powerful processor. However, below is the detailed features that has been confirmed. * Front facing camera with Facetime support and 5-8MP Rear end camera with LED Flash. * Retina display with new multi-touch capabilities and higher screen resolution. * New version of iOS Software. * Micro SD Card slot up to 32GB. * Support for 4G LTE networks (only for USA). * Thinner in size and lighter in weight. 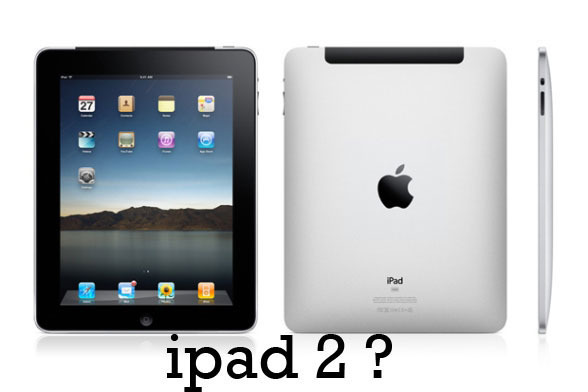 How could we take advangate of iPad 2? High defination screen enjoyment of course is one of the most highlighted feature of iPad. And to watch any media file on the go is why some people need this devices. Then how to import file stored in other storage media or format. All you need is a DVD ripper and video converter software. 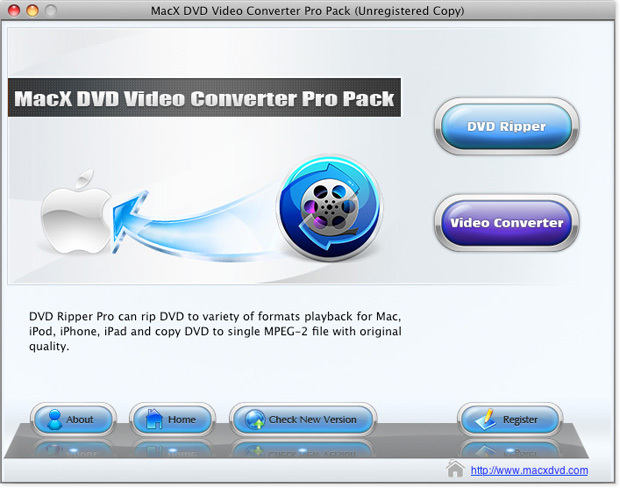 MacXDVD updated their MacX DVD Ripper Pro and MacX Video Converter Pro with perfect compatibility with iPad 2. How to Rip DVD and Convert Video for iPad 2 on Mac OS? Below you could find how to backup DVD and convert video for the format supported by iPad with MacX DVD Video Converter Pro Pack (pack with MacX DVD Ripper Pro and MacX Video Converter Pro). Step One: If you need rip DVD to iPad 2, just click the DVD Ripper button on the main interface of the pro pack. Then you will be directed to MacX DVD Ripper Pro. If you need to convert video to iPad 2 instead, you should click the Video Converter button. Step Two: No matter you want rip DVD or convert video, click the button on the top left corner to load the file to convert. Step Three: Select output format, To iPad and choose the profile according to your devices. You could adjust the file size, trim video segment, change paramter setting correspondently. Step Four: Browse and decide where the destination is to store the output file and then click Start button.